The more time you spend with English, the better you become! That's why native English speakers are so good at it: they've spent thousands of hours listening, talking, reading, and writing English. Why did I write "spend time with English" instead of "study English"? Because you shouldn't spend all of your time studying. You should talk with people, watch movies, listen to podcasts, write emails, surf the Internet, and do things in English. Treat English like it's your best friend - one who follows you everywhere. That is why you must learn English phrases to be as good as natives are. To know more about how to learn English online, read on the following points. Your goal is to spend as much time as possible with the English language. That's why it's very important to find study methods that will make it fun to learn English phrases. If you try to make yourself do something boring, you'll eventually get tired of it and quit. Here, we make it fun and interesting for you so that you can learn English online without much hassle. Are you social and outgoing? Then it's important for you to find English speakers to talk to as it will help you to learn English faster. Do you love to watch TV? Sit on your couch and watch some English-language TV shows for hours at a time. Don't like grammar? Don't study it! 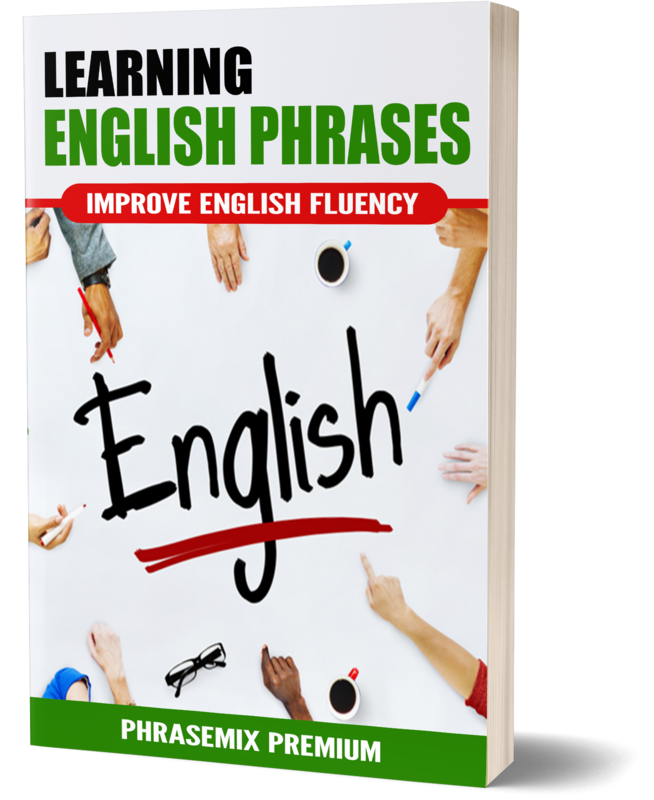 You'll eventually start to understand it if you follow these suggestions for the best way to learn English grammar. Combine English learning with something else you love. If you're an athlete, join a recreational sports team with members from English-speaking countries. If you like computer programming, read programming books written in English. If you spend 10 hours a week studying English, what's the best way to spread that time out? Should you spend all day on Saturday reading English books, speaking with a conversation partner, and doing flashcards, then do nothing for the rest of the week? Sign up for the PhraseMix daily newsletter and read each day's new English phrase. Read the news headlines in English each morning on the Internet while you're eating breakfast. Keep English podcasts on your phone or music player, and listen to them while you drive or ride to work. Find some easy English novels and read for 10 minutes before you go to sleep every night. If you have a chance to study or work abroad, take it. Immersion is the very best way to learn. A lot of textbooks teach you English that isn't natural. Textbook writers do this because they feel that they need to make the language easier for English learners to understand. That's OK at first, but it's not good to learn too much unnatural English. if you're able to read this page then you should be learning from "authentic" sources. Try to expose yourself both to formal English (books, speeches, news broadcasts) and informal (conversations between friends, dialogue in TV shows). If you have trouble understanding people speaking at a natural speed, try listening in shorter bursts. For example, if you're watching a video on the Internet, you can pause it after each sentence to try to figure out what the people were saying. You can learn more than one word at a time. For example, by memorizing the PhraseMix lesson, "The jury found her 'not guilty'" you can learn the words "jury", "find", and "not guilty". You can learn which words go well together. For example, if you just learn the word "impression", you might not know that the verb "leave" goes well with it: “A limp handshake leaves a bad impression.” And although you know what "pleasant" means, you might not know how common the phrase "pleasantly surprised" is. Lots of phrases have their own meaning that you can't predict based on the individual words. There are phrasal verbs such as "put in", "bring up", "think over", and so on. There are also idioms like "a fine line between __ and __". Our brains are very selective. They don't remember every detail. Instead, they remember the things that seem important, and forget the rest. If you just learn a phrase once, and never read or hear it again, you probably won't remember it. That's why it's important to review. It's good to review once within a few minutes after you learn something, again in about a day, and again in a week or so. Flashcards work really well for review. Flashcard programs like Anki and Brainscape work even better. If you're living in a completely English-speaking environment, it's not as important to review because you will probably see or read the same things again naturally. But if you're only studying English for an hour or two a day, review becomes very important. You should focus most of your time on listening to English. This is how you're going to learn to learn new phrases and pick up native-sounding habits. Once you've heard something 15 or 20 times, you'll start to be ready to use it yourself. 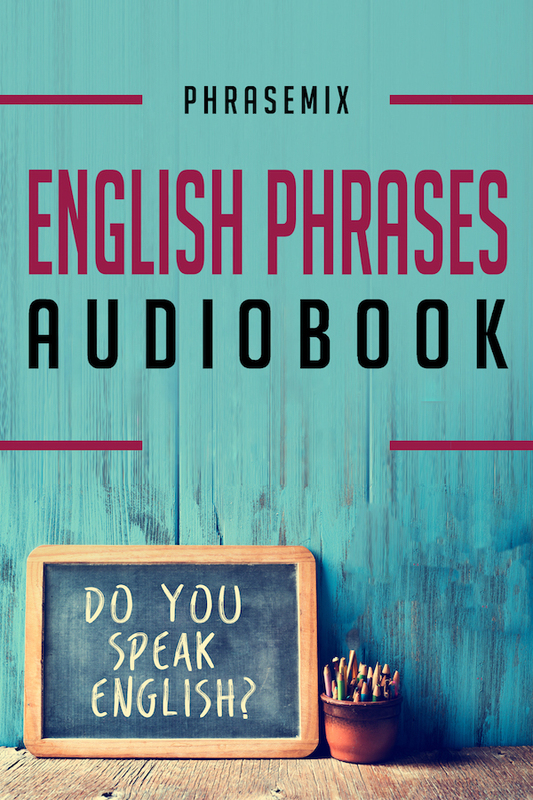 At least half of your English practice should be listening. However, listening passively, without speaking, can sometimes be a waste of time. If the language-learning part of your brain doesn't think that it needs to learn something, it will forget it. That's why it's important to combine your listening practice with speaking. Talk to whoever you can; if you can't find anyone, talk to yourself! Reading and writing are important skills too, but you've probably already gotten a lot more practice with those. Just make sure to read more than you write. Treat English like something that you want to do every day, not like something that you have to do. Forget about your old habits. Try to sound, act, walk, laugh, and think like an English speaker. Remember that there is always more to be learned about every word or phrase. Never believe that you completely "know" something. When you're in a conversation in English, be confident. Don't focus on your flaws. Remember Tip #1. Have fun! Any other suggestions? Add them in the comments below! Please share this post if it was helpful to you!